Cast backplates in a Hi/Low brass finish, having a simple elegant design. The shades are really quite interesting. 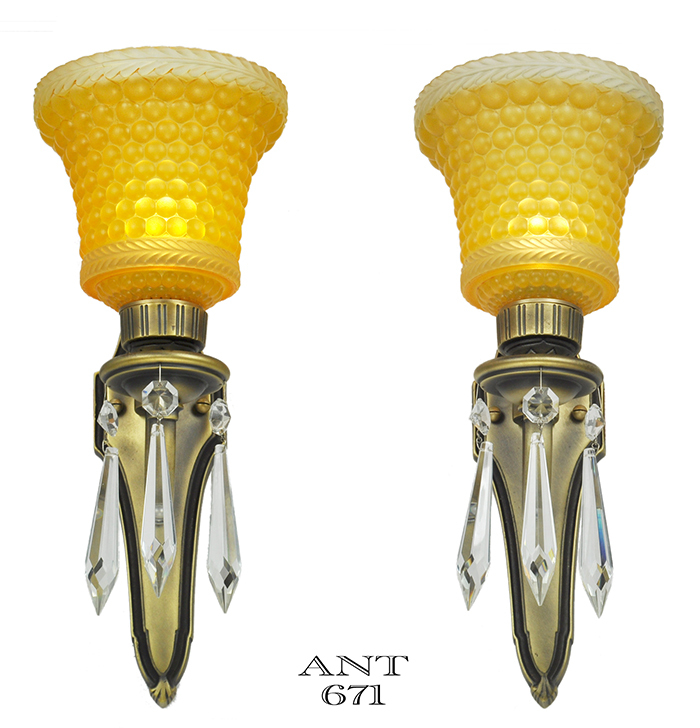 Heavy cast glass, with a heavy embossed hobnail design. 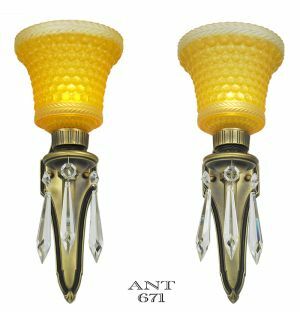 The shades are amber in color. Note that there are clear borders running within the shades, making a nice contrast. Projection: 8 ¾" from the wall into the room. 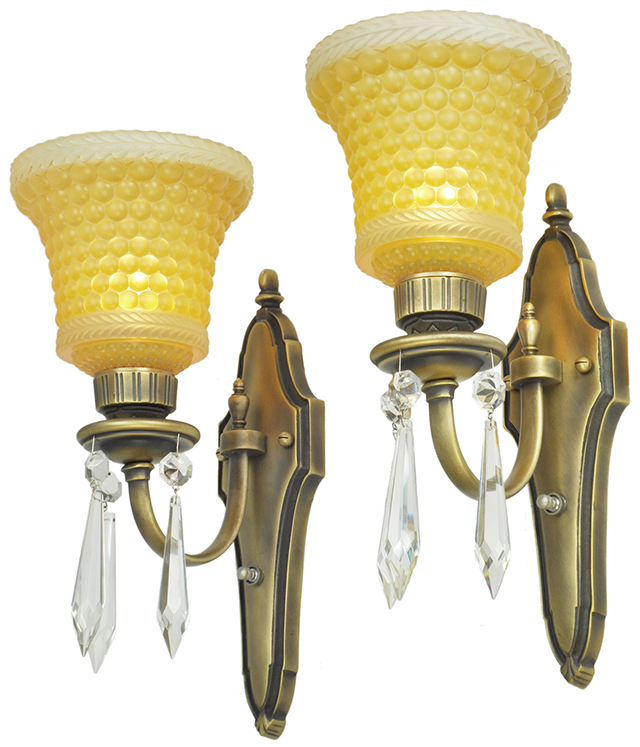 Electrical: These sconces have been totally re-wired in our UL shop. 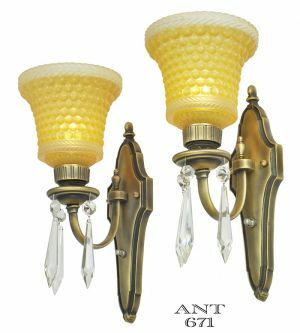 The sconces mount with two threads with round decor heads to each side of the sconce. All mounting hardware will be supplied. 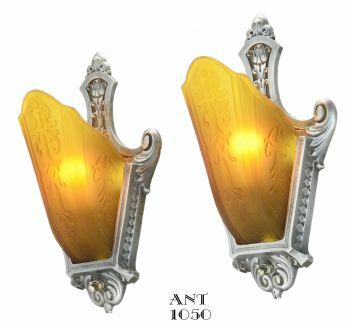 Price: $375.00 for the pair of sconces, complete with amber shades...plus shipping charges.